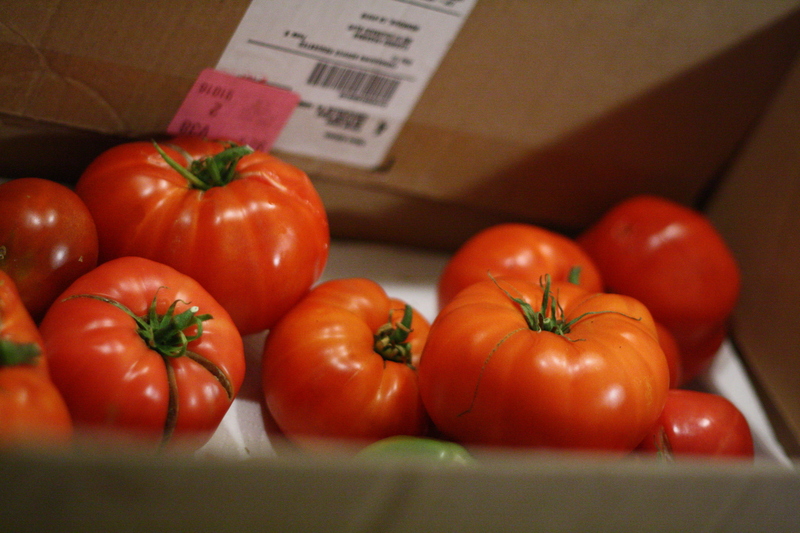 Today I received a box of heirloom tomatoes. 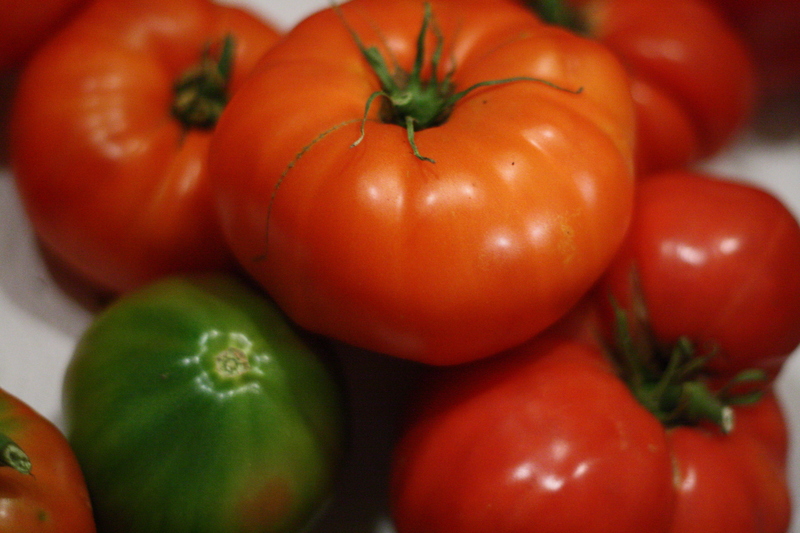 They are huge, multicolored strange looking tomatoes. A friends 82 year old neighbor grows them in her yard. I had the opportunity to see the plants the other night. The plants rise about 8 feet from the ground. The leaves are vibrant green and the tomatoes pop from the branches. 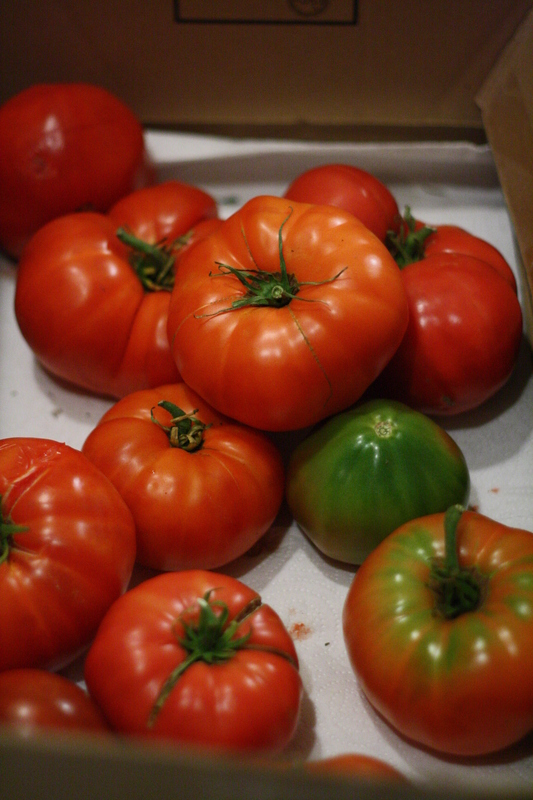 The tomatoes are so large and the plants are so tall that it feels like a garden for the Jolly Green giant. I did not get a chance to meet the 82 year old gardening legend, but I was fortunateenough to get some our her priced jewels. My friend said that when he went to her house to pick up the tomatoes she had 100 of them spread out on the table that she was dividing up for her friends and neighbors. Lucky me and lucky everyone who is the recipient of one of my tomato sandwiches today.